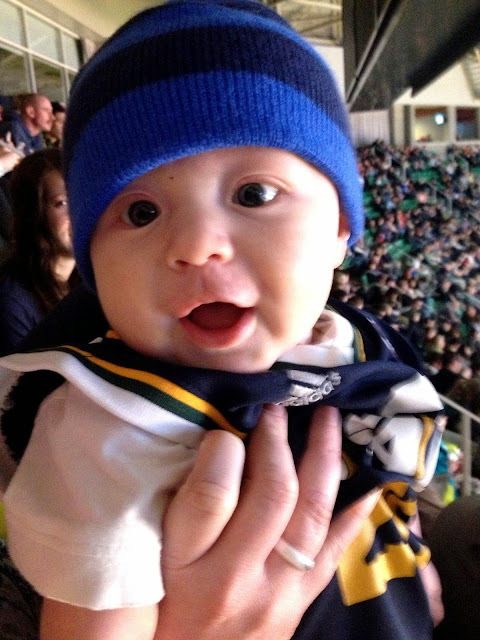 Between holidays, we met up with some of our favorites to go to a Jazz game. Lady is particularly fond of these games (much to her daddy's approval) and yells things like, "Yay, Trey!" and "Jazz, Jazz!" and "Basketball!" 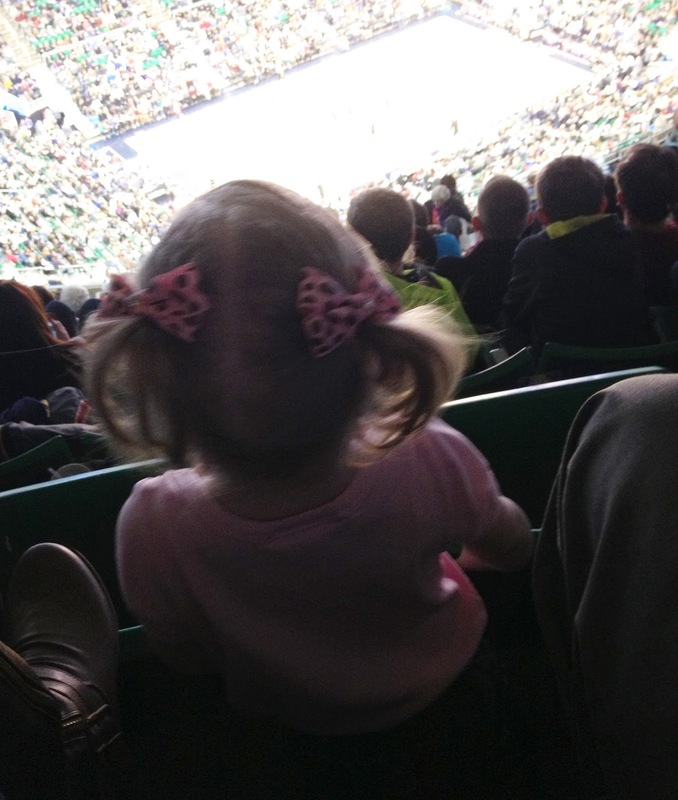 When the crowd 'boos' she kneels down, leans over the seat in front of her and screams emphatically (she observes her dad watch sports too often, i believe). It really is adorable, and D. eats it up, beaming all the way. It made it extra fun to be there with Brandon, Tori, Lacey, and especially baby Daegan. 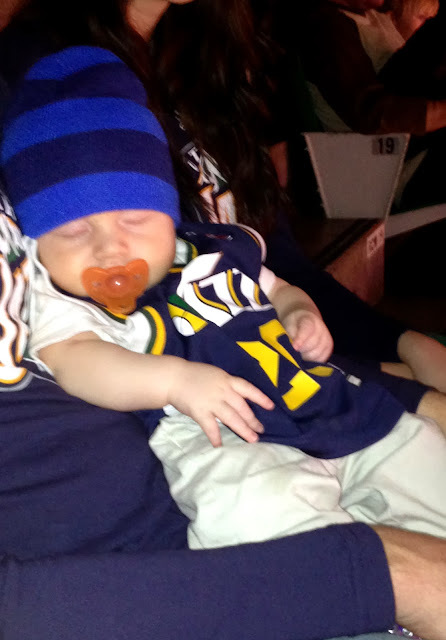 He was a champ, even sleeping through an entire quarter. Not to mention, he totally stole my heart - giggling at me as I talked in the most obnoxious baby voice I could muster. I'm sure the people behind us loved it (hashtag: mostannoyingawardgoestome). Anyway, another Jazz game success. 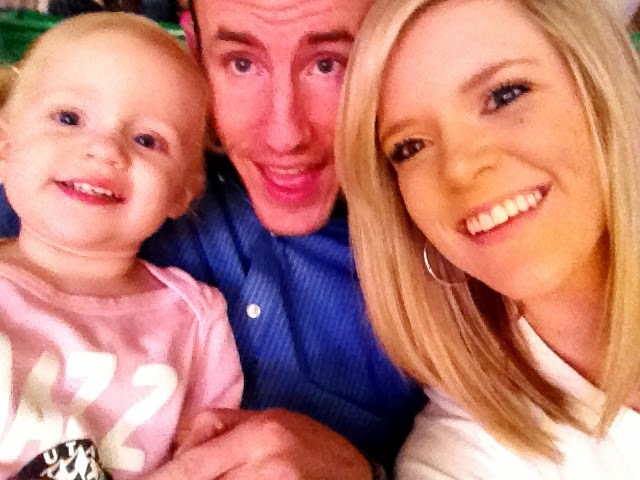 Oh, and our 20 month old toddler has been to more NBA games in her life than most adults. Like I said, she makes her daddy extra proud.